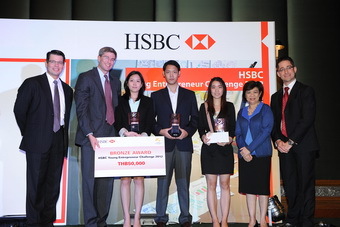 Once again BBA Thammasat has marked its name on this business plan competition! 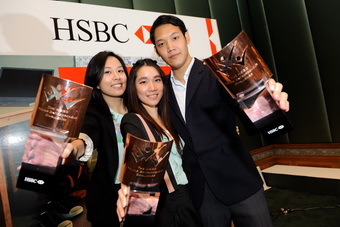 This year, team �The Trio�, consisting of Miss Charoyboon Tuntraviwat (Por) Mr. Thawatchai Vikiniyatanee (Aek) and myself Miss Tanimar Narkmun (Oor) received a Bronze Award in the HSBC Young Entrepreneurship Award 2012. We are so happy to finally apply our knowledge from BBA classes to the real world and make it successful! Lastly, we would like to thank Mr. Paron and his advisor Dr. Chanida Hansawasdi for their comments and supports in making this business plan viable. We also would like to thank Dr. Toryos Pandejpong and BBA alumni for their advice and generosity in helping us see the strength and weakness of our business plan. In addition, we would like to thank BBA Thammasat for making us become the most that we can be, and for opening this opportunity to compete and bring a prize home. Be the Best Always! Posted date: July 23, 2012 � 08:55 hrs.